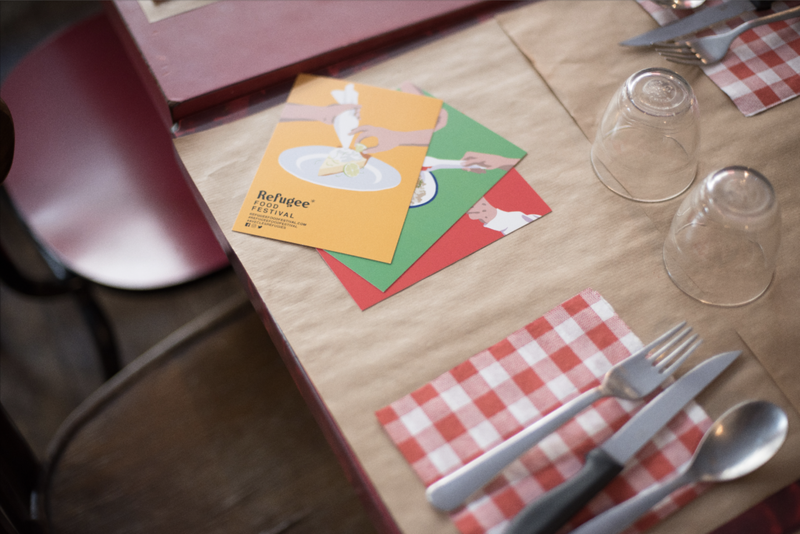 Strasbourg has already hosted three editions of the Refugee Food Festival. 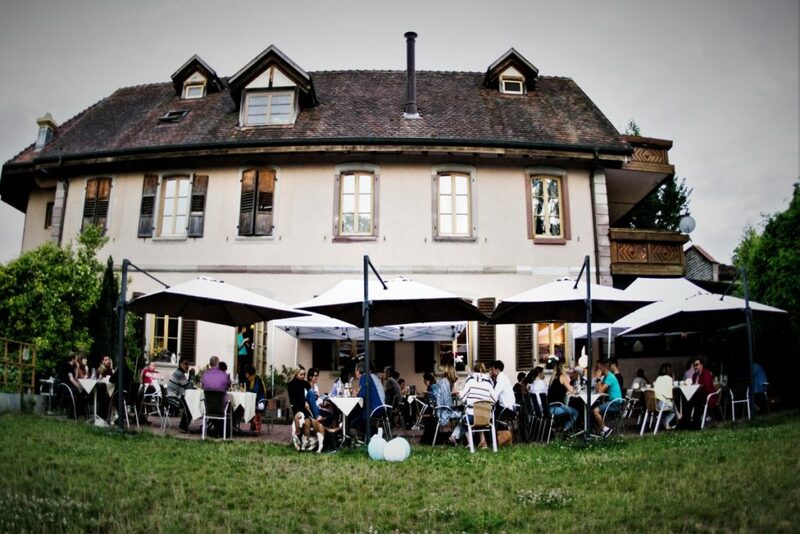 Since 2016 the city of Strasbourg hosts the Refugee Food Festival twice a year: in December on the occasion of the Christmas market, and in June, on the occasion of World Refugee Day. 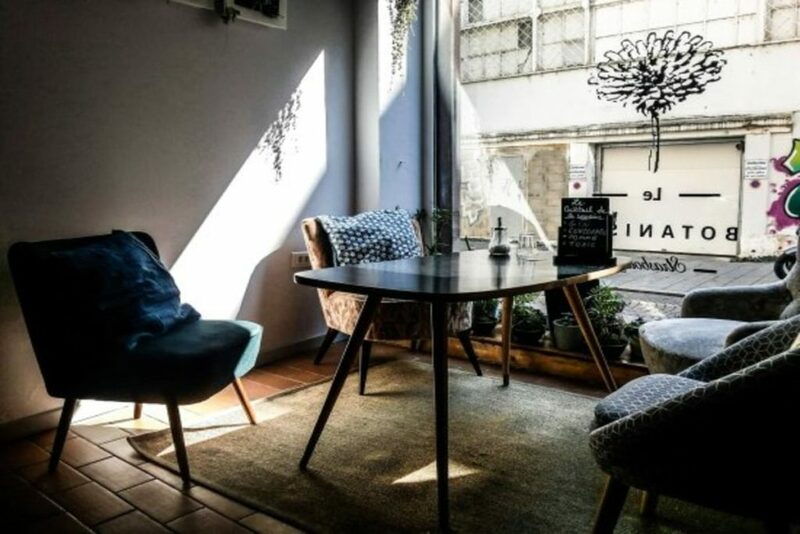 Since 2016, the festival has brought together 6 restaurants in Strasbourg and 7 talented chefs, to help change our perception on refugee status, and to make people discover flavors from elsewhere. 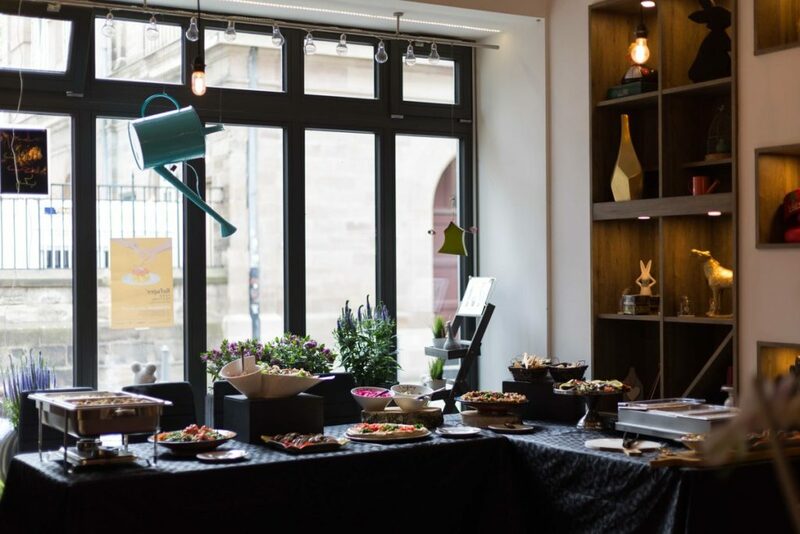 In 2019, the Refugee Food Festival in Strasbourg is coming back next June, with a yummazing program ! Stay tuned ! 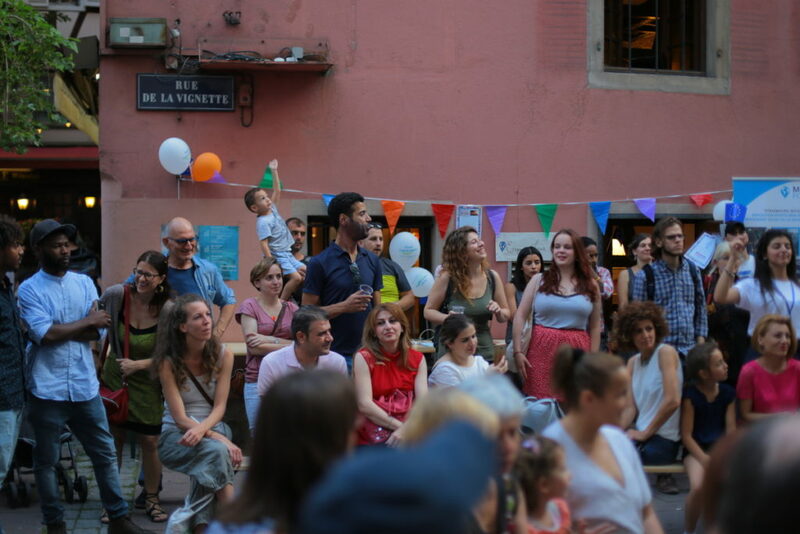 The Refugee Food Festival is coming back in Strasbourg in June 2019 for a 4th year in row. Around June 20 (World Refugee Day) committed Strasbourg residents will welcome and collaborate with talented refugee cooks. Dates and detailed program will be released very soon. Strasbourg 2018 : one edition in June and one on the Christmas market ! 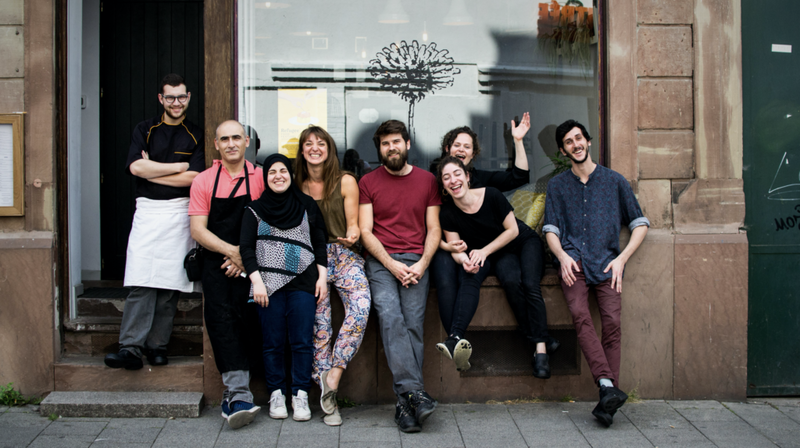 In June 2018, for the third consecutive year, some of our favorite Strasbourg restaurant’s menu was enriched with dishes imagined and prepared by refugee chefs: carte blanche, four-handed menus … A greedy and supportive initiative to honor the skills of the guest chefs and to show people the best of Syrian, Afghan, Iraqi and other cuisine. The festival was also organized on the Strasbourg Christmas market, with a 100% women edition! 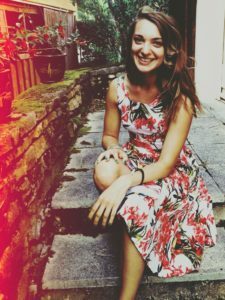 During one week, two Georgian and Syrian chefs made their wonderful specialities ! Fatema Katashiya Anees and Le Botaniste team opened the festival with a 7 dishes Syrian menu. Hussam Khodary and Amani prepared a very special oriental brunch: hummus, chawarma, falafel and other dishes cooked for the festival. Noor Momika, Iraqi chef and pastry queen, prepared a delicious buffet with Fabrice and Morgane for a Sunday night rich in memories! Ahmadzai and chef Antoine prepared a Afghan four-handed dinner with market’s products. 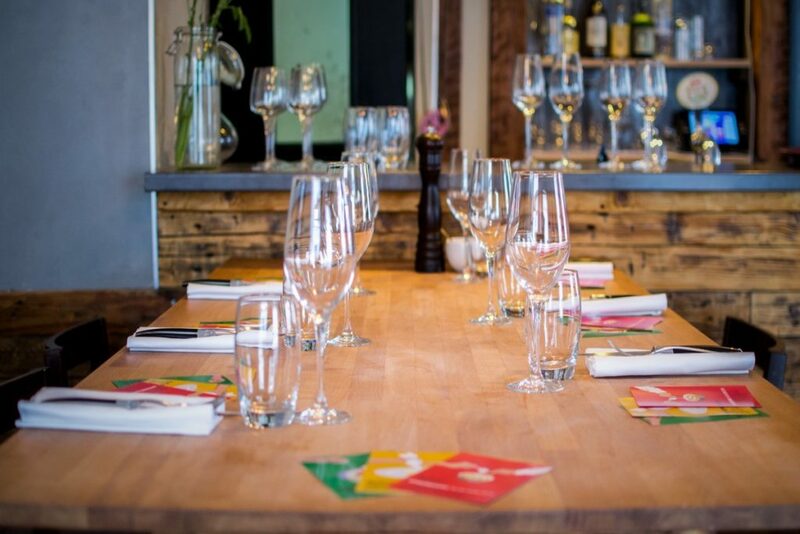 Iraqi chef Nathir Al-Najjar was the head of the restaurant La Fignette for a night! 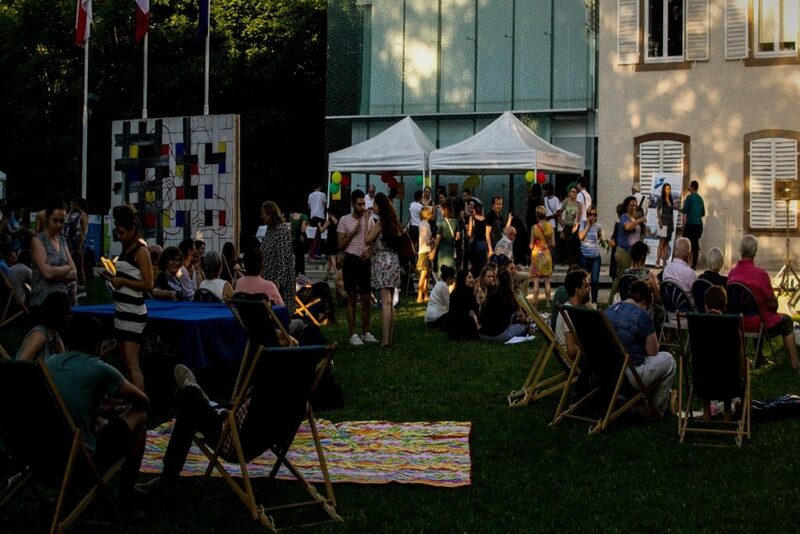 To close the third edition of the Refugee Food Festival ✱ Strasbourg ✱ 2018 and for the World Refugee Day on Wednesday 20th June, the Lieu d’Europe Strasbourg opened its doors to the public for a participative and interculturual picnic, in partnership with Makers For Change, Strasbourg.eu and Mouvement contre le discours de haine – France. Tarte flambée revisited as part of an Intercultural Café with Makers For Change, discovery plate with 3 Iraqi specialties and other surprises were on the agenda of this beautiful day. 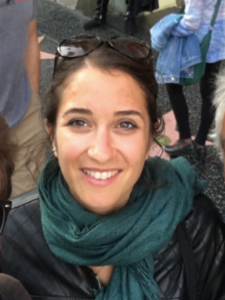 En 2018, Helene Berrier and Heloïse Chalvignac were leading the Refugee Food Festival project in Strasbourg! They were supported by a team of super committed volunteers!